I just love these cute ball earrings! 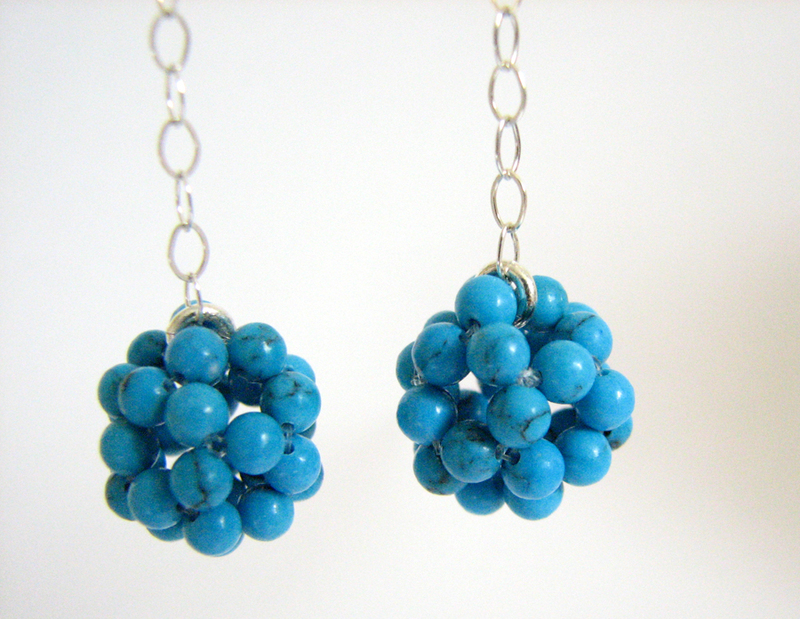 They are made with dyes turquoise blue howlites (3mm), hanging from a sterling silver chain, and they are so lovely! 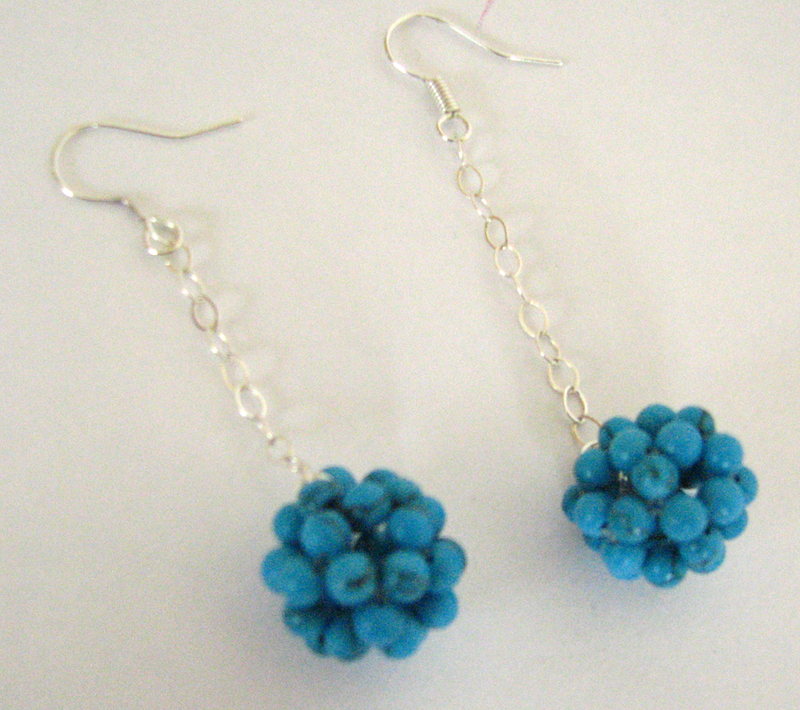 I got many compliments on them … What do you think? Leave a comment and tell me your opinion!